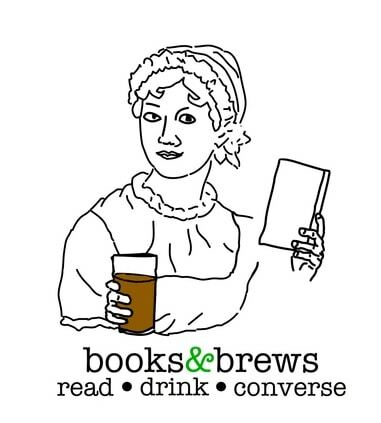 Indianapolis's newest bookstore combines two old friends: alcohol and books. Beer. "The bookstore was always the dream," said Wuerfel. "And then, when the market collapsed, there was no viability in a bookstore. How do you make your margins in order to survive?" His solution is to open a bookstore which, if you added up the square footage, is far more bar than bookstore. Wuerfel got the idea a few years ago when a friend told him about The Spotty Dog Books & Ale, a similarly themed bookstore in Hudson, NY that sells both new books and a selection of hand-crafted ales. Wuerfel is joining a growing number of bookstores that are branching out into this related market. Besides The Spotty Dog, there is also the Quarter Barrel Brewery, which opened in Oxford, Ohio in 2010. But even though Wuerfel had the idea, he still needed cash, so he turned to Kickstarter. He ran a crowd funding campaign last September and raised $17,000. He then used the funds to put in a nanobrewery and buy stock. Books and Brews is a used bookstore, and many of the fixtures were made by hand just for this store. "One of things that always puts me off about the big-box bookstores is that there's no sense of discovery," said Wuerfel. "In a place like this, it's so much smaller, so much more of a personal touch. We can direct people in much more specific ways than just, 'Oh, here's a horror section.'" In addition to promoting good books and beers, Wuerfel is also planning events which will draw in the community, including live music, book clubs, tabletop games, movie screenings, author readings, wine tastings and open mic nights. Like many other booksellers, Wuerfel knows that simply selling books isn't enough. Is Amazon Looking to Buy Comixology? I live in Indianapolis now, and my brother is a state-certified beer judge. You should liveblog it. Don’t forget to bring a breathalyzer. A bookstore where everybody knows your name, huh? Isn’t that what basically Krammer books in DC is? and they have been around for decades. Their book selection is way more extensive than Busboy & Poets too. The food isn’t bad there too. This reminds me of the old Baltimore institution the Peabody Book Store & Beer Stube, which started out as a speakeasy during prohibition. The Book Store fronted for the Bar in the backroom. Sadly the Book Store & Beer Stube closed and was demolished during the 1st Baltimore Book Festival, which was held just a block down the street. I still have bricks from the Peabody and use them as book-ends. They need to get things like this in Washington and Colorado, just with pot. Someone will eventually. Maybe “The Book and Pipe.” Yeah…I like the sound of that. I took my new e-bike up there yesterday. (And ran out of battery power on the way back, oh well.) Interesting place, though the bookstore aspect of it is really kind of an afterthought.